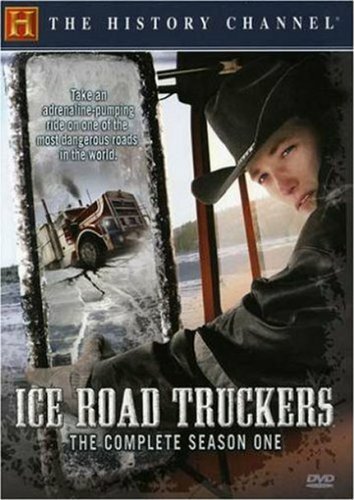 Order ‘Ice Road Truckers: The Complete Season One,’ available from Amazon.com by clicking on the DVD cover above! Seriously? Seriously? Someone figured they could make an entire series about guys—and a couple of women—who drive enormous trucks across remote areas of Canada on roads of ice? Well, believe it, because the most popular show on the History Channel is called “Ice Road Truckers,” it attracts 3 million viewers per episode and, with its fourth season starting on June 6th, it has made a pop culture hero out of a simple, bearded man named Alex Debogorski. I think the difference between people who get this show and those who don’t is the difference between people who have driven trucks and those who haven’t. I drove a truck for a while in college, navigating the treacherous highways and surface roads between Gainesville and Ocala, Florida, traversing the hazardous Paynes Prairie… okay, it was neither treacherous or hazardous to me, but it was for everyone on the road when I was. I had no training and no idea what I was doing. There is a motel owner in Ocala who will testify to that effect after I drove a too-tall truck under his too-low lobby canopy and relocated it. 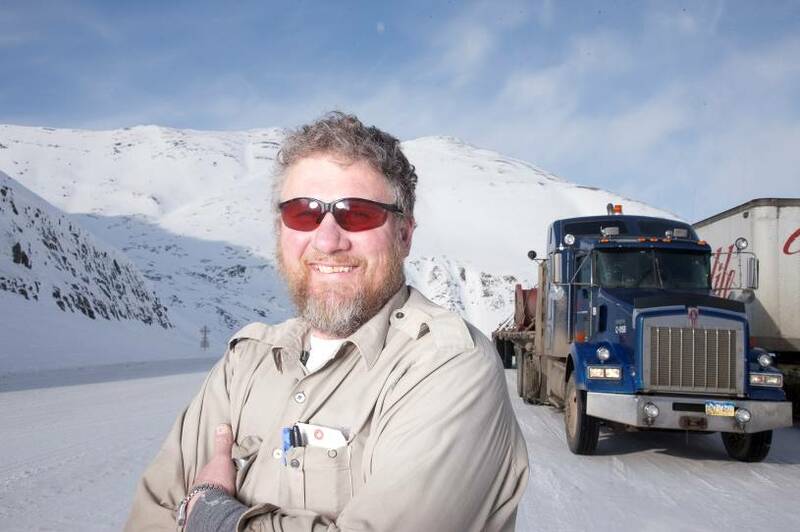 Joining me today is the star of “Ice Road Truckers.” He’s calling in from London, of all places, and I certainly hope he’ll tell us why in a moment.